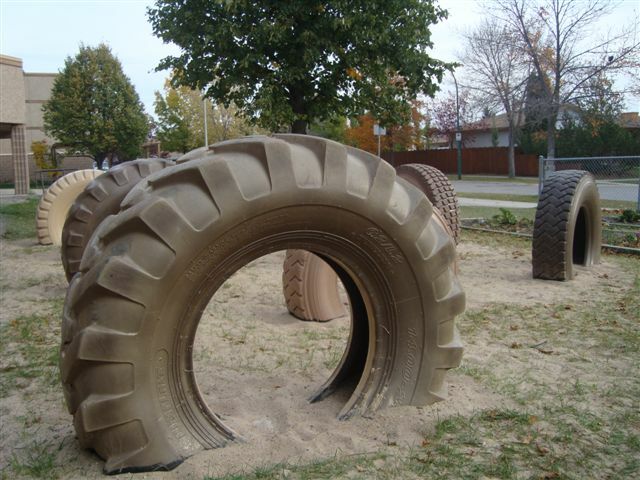 Here are some photo’s about OV Jewitt’s new playground revitalization project. They are excerpts from the OV Jewitt’s School and OK Before and After Child Care Program’s joint presentation at the last MNACC meeting. I find it very exciting to see a school and an early learning and childcare program co-operating in a mutually benificial way. 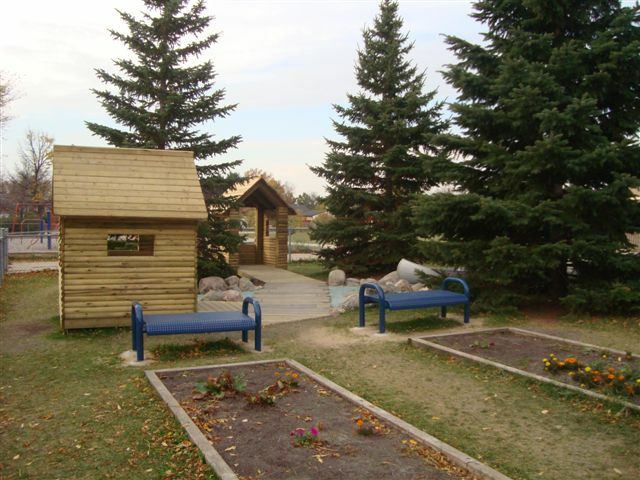 The planning for the Nature on Neville Street natural playscape began in October 2010 and is a collaborative project between O.V. 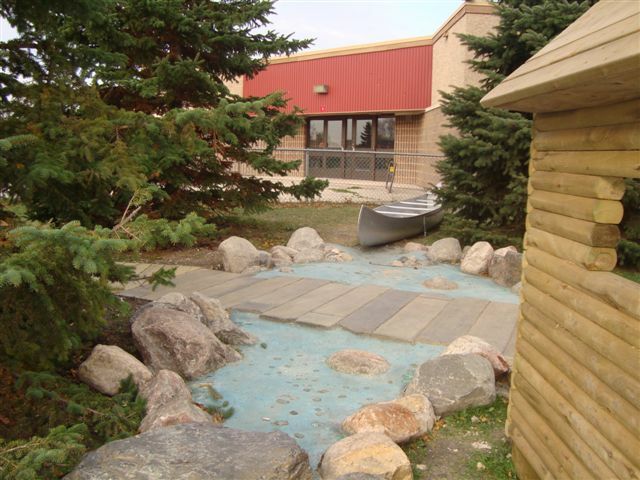 Jewitt Community School and O.K. 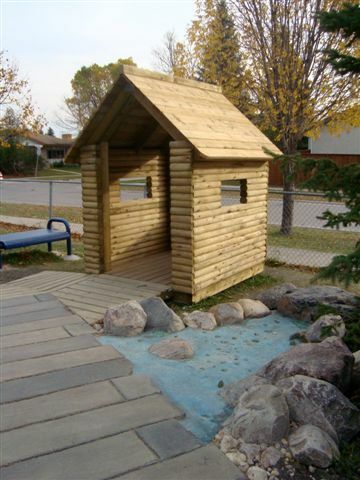 Before & After Child Care Centres, Inc. 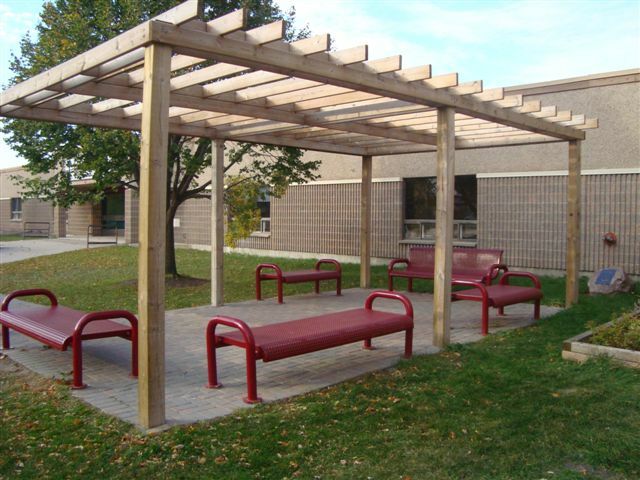 Through the support from the Seven Oaks School Division, O.V. Jewitt School and their Parent Council, the Board of Directors for O.K. Before & After and grants from various organizations, Phase 1 of our project was completed by October 2011. 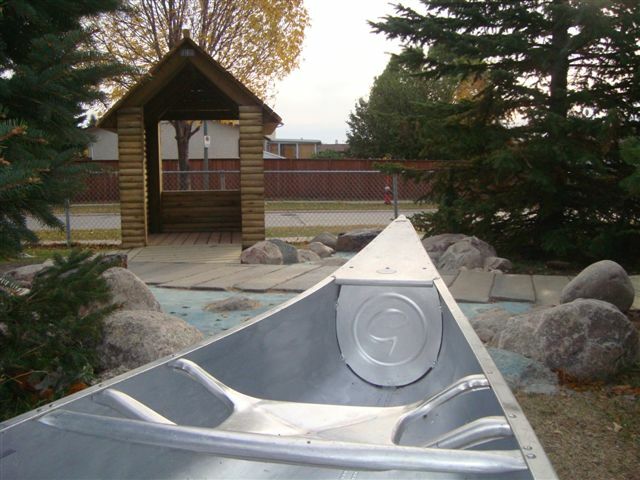 Our hope was that exposure to and use of the playscape would cause a ripple effect throughout the community that would encourage the care and exploration of the natural environment and enjoyment of outdoor activity, and that interactions with other community members would help to foster a greater sense of community strength. Since construction began, we have received so much positive feedback from community members. 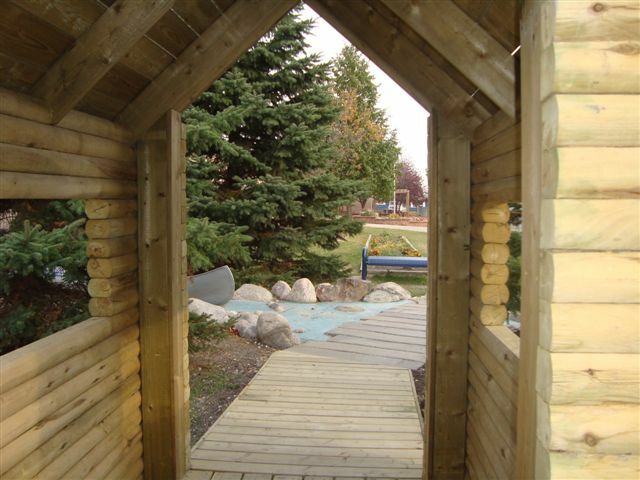 The playscape, coupled with the pergola, has become a gathering place in the evenings for families. Phase 2 of Nature on Neville Street is slated to begin in the spring of 2012. It is located at O.V. Jewitt Community School at 66 Neville St. 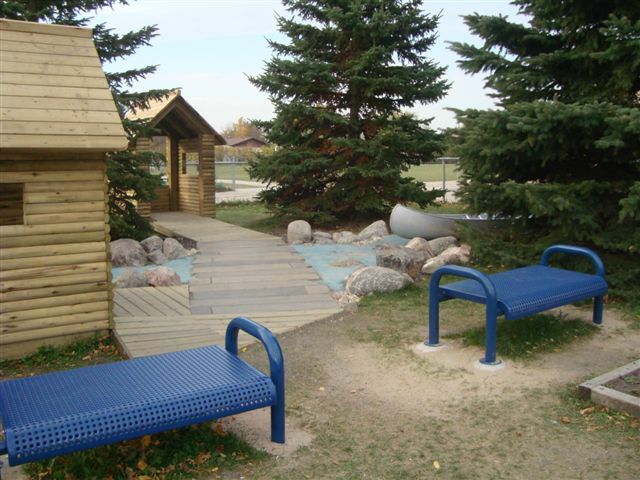 If you are interested in playgrounds I recommend that you contact Ron Blatz at Discovery Children’s Centre to get added to the MNACC email list as the meetings are an amazing resource. You can also find MNACC meeting dates on the Nature Summit calendar and in the News and Events categories. 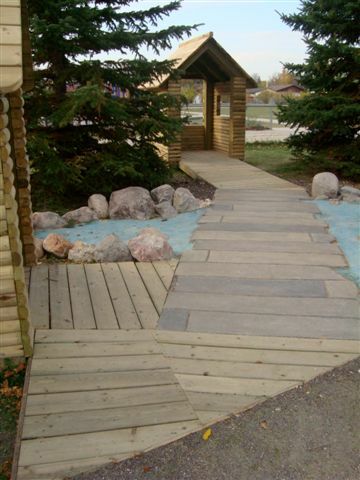 This entry was posted in Blog, Inspiring Playscapes and tagged adventure playgrounds, Manitoba Nature Action Collaborative for Children, MNACC, nature education, Nature Playgrounds, playscapes, playspaces. Bookmark the permalink.